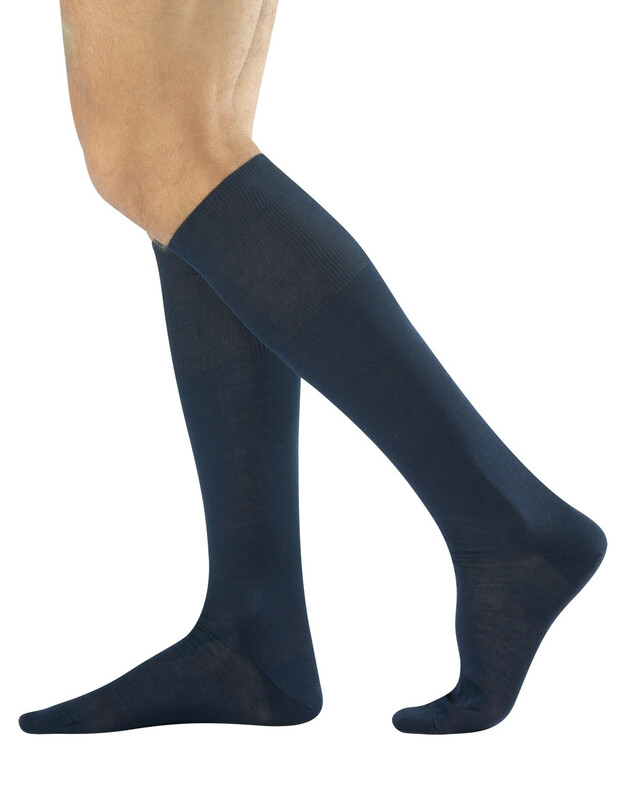 Long men socks made of mercerised cotton Filo di Scozia, a manufacturing process which give to the fabric an exceptional softness. The high quality of cotton yarns blends with the elegant style of the plain socks which is suitable for the formal outfit of professional environments but which can also give a classic touch to daily life. FILO DI SCOZIA: High quality yarn made of mercerised cotton with the best silky fibres: the result is an exceptionally soft fabric.